Tara Morgan worked in partnership with Visit Idaho to create this Travel Tip. 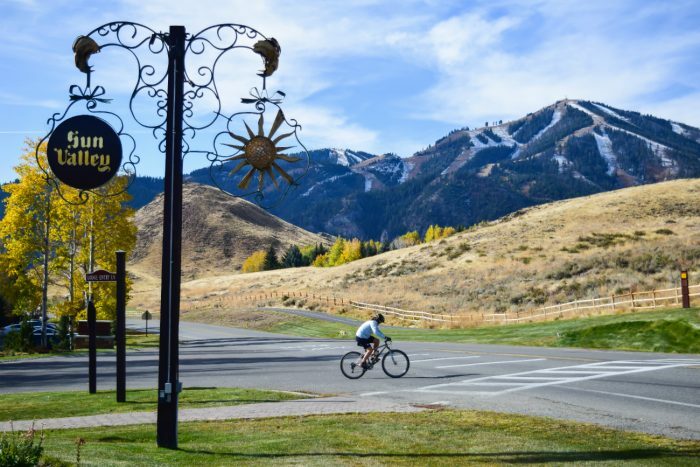 Sun Valley’s iconic aspen trees are a canvas for the town’s seasons. In the winter months, they shiver in snowy embankments as skiers glide past them on groomed trails. In the summer they shimmer green, providing a leafy canopy for hikers and mountain bikers who need a shady repose. And in the fall they glisten orange gold, putting on a splashy fireworks show that can be seen all over the valley. Sun Valley is an easy fall getaway. Photo Credit: Tara Morgan. If you’re looking for a colorful weekend getaway, fall is the perfect time to make a trek to the Wood River Valley. In addition to offering unparalleled autumn foliage, the quieter shoulder season is also great for exploring the town’s numerous restaurants and bars unencumbered by crowds. From excellent lamb dishes during the annual Trailing of the Sheep Festival to globally inspired small plates and inventive cocktails, Sun Valley makes an excellent fall food retreat. Sip on a craft cocktail creation. Photo Credit: Tara Morgan. Make sure your bags are packed so you can motor up Highway 20 while the autumn sun is still twinkling through the aspens. When you roll into Ketchum, head straight for Warfield Distillery and take the edge off with an appetite-stirring craft cocktail, like the Italian Job—shaken with Bulleit Bourbon, Aperol, Cynar and fresh-pressed lemon juice to balance out the bitter—or the Negroni with Warfield’s housemade No Return Gin. The rooftop terrace is a popular warm-weather lounging destination, while the main floor fireplace is a great spot to warm up if the weather is cooler. Street food flair. Photo Credit: Tara Morgan. For dinner, stroll a few blocks down to Rickshaw, a hole-in-the-wall with flavors much bigger than its cozy, wooden interior. 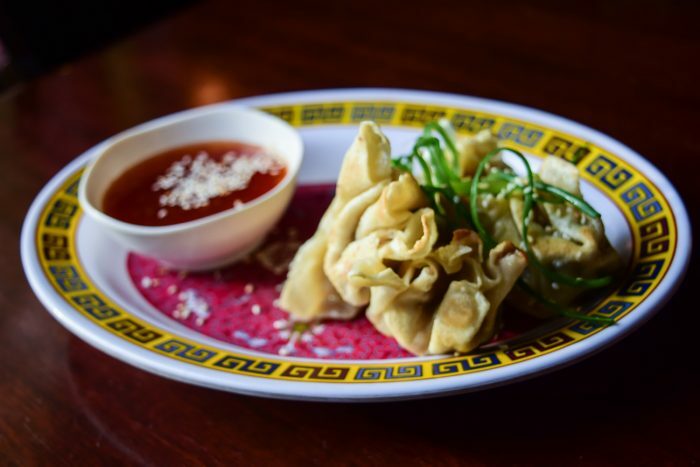 Rickshaw shines a spotlight on Asian street food dishes—everything from a Thai green papaya salad with peanuts, lemongrass and spicy Thai chilies, to Pearl Balls, aka steamed chicken dumplings in sticky rice with sesame-soy dipping sauce. Crunch on some papadums to start with cucumber raita and mango chutney, and don’t miss the plump pork potstickers, a familiar but refreshingly well-executed staple. Sit back and enjoy the local vibes. Photo Credit: Tara Morgan. Looking to keep the party going? Head to Cellar Pub, a subterranean watering hole with a laid-back locals vibe that calls itself “the unofficial sunblock of Ketchum, Idaho.” Whether you prefer to nurse a craft brew while you play shuffleboard or sip on a sturdy Manhattan, Cellar Pub has you covered, and will even whip up a local lamb slider on a Bigwood brioche bun crowned with a fried onion ring to soak up your excesses. Find a healthy twist. Photo Credit: Tara Morgan. 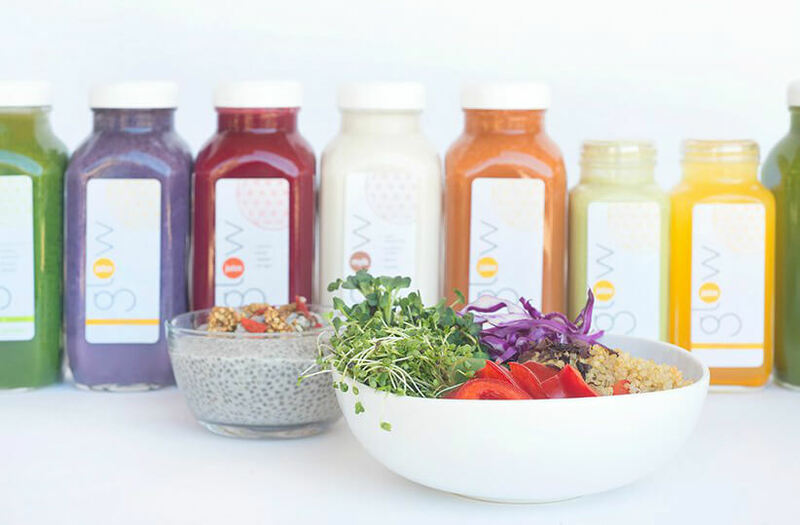 Feeling like a cleanse after all that decadence? Head to Glow Live Food Cafe for a Clean and Green juice, packed with cucumber, chard, celery, parsley, kale, lime, ginger and apple. Or for something a little more fall-appropriate, try the Roots juice, a soothing blend of carrots, beets, apple, and ginger. Glow also offers an assortment of plant-based breakfast and lunch options, like avocado toast on toasted gluten-free Bavaria bread or the E.L.T. sandwich with eggplant bacon and cashew mayo. If you’re on the hunt for a surprisingly affordable and ample lunch, make your way to Wrapcity Cafe on Main Street. The popular counter-service haunt serves an assortment of hearty, flour tortilla-wrapped burritos that make the perfect portable meal for an afternoon spent exploring the outdoors. The Turkey Club comes loaded with romaine, bacon, avocado and ranch dressing, while the flagship Chinese Chicken Salad features teriyaki chicken, napa cabbage, peanuts, jasmine rice and sesame dressing. The perfect cup of coffee. Photo Credit: Tara Morgan. Need an afternoon jolt? Stop by Maude’s Coffee and Clothes in Ketchum. 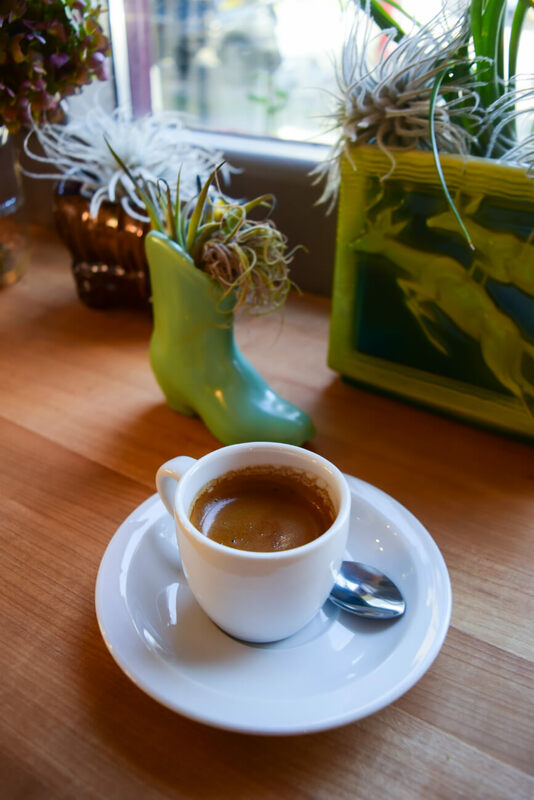 The quaint coffee shop serves up an array of espresso drinks made with locally roasted Maps Coffee inside a vintage clothing boutique. Great wine and amazing views. Photo Credit: Tara Morgan. For a happy hour perch with an epic view of the surrounding snow-dusted mountains, swing by Sun Valley Wine Co. and grab a seat on the second-floor patio. 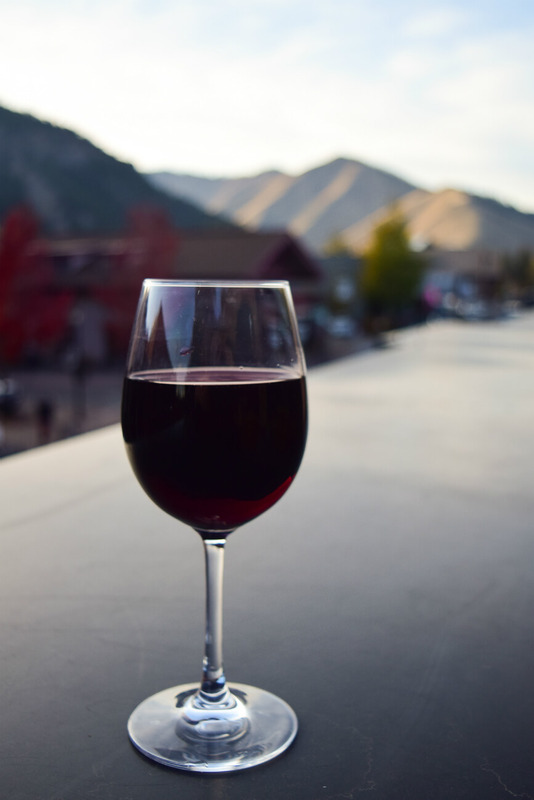 The wine bar and bottle shop offers an array of glass pours, or you can select a bottle of your choice from the well-stocked shelves. Enjoy some Italian inspiration. Photo Credit: Tara Morgan. 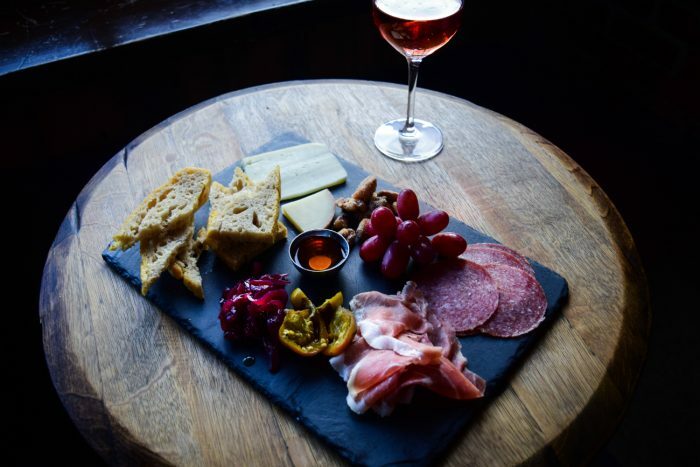 Keep the wine train rolling at nearby Enoteca, an Italian inspired restaurant and wine bar that was once home to Jack Lane’s general store in the 1930’s, where sheep ranchers gathered to swap stories. Inside the low-lit, brick-walled hideout you can snack on a salami and cheese board, piled with petals of prosciutto, or split a Pizza Diavola with house tomato sauce, spicy coppa, fennel and manchego. Dig in! Photo Credit: Tara Morgan. 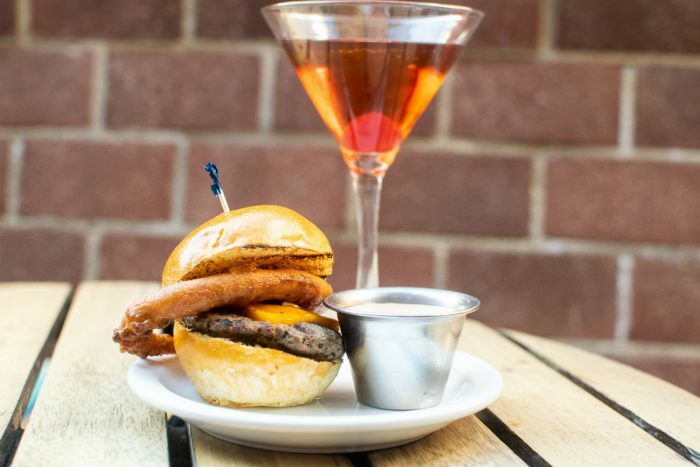 Wrap up your evening at Enoteca’s twinkling sister restaurant Town Square Tavern, where notched wooden pillars prop up the rustic open restaurant. 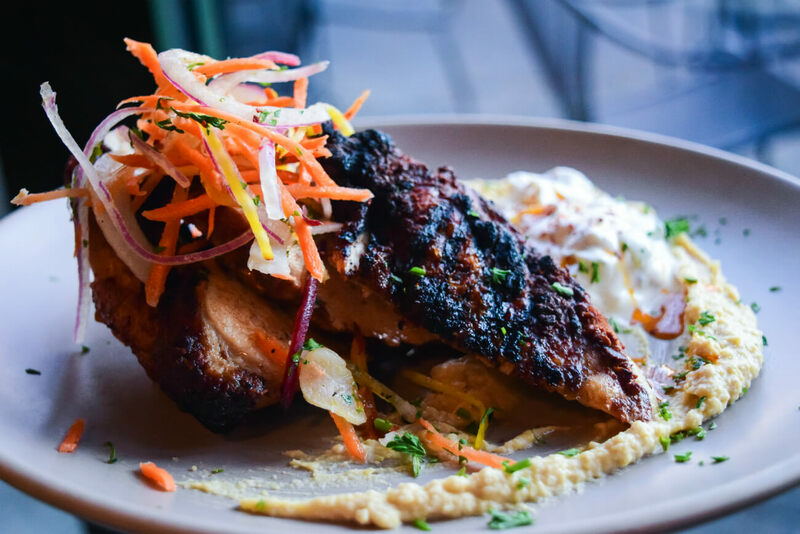 The menu weaves together an eclectic assortment of global influences, from Lebanese-style beef short ribs with risotto to Tunisian-spiced chicken served on a bed of cumin-laced hummus with yogurt raita. Breakfast at its best. Photo Credit: Tara Morgan. 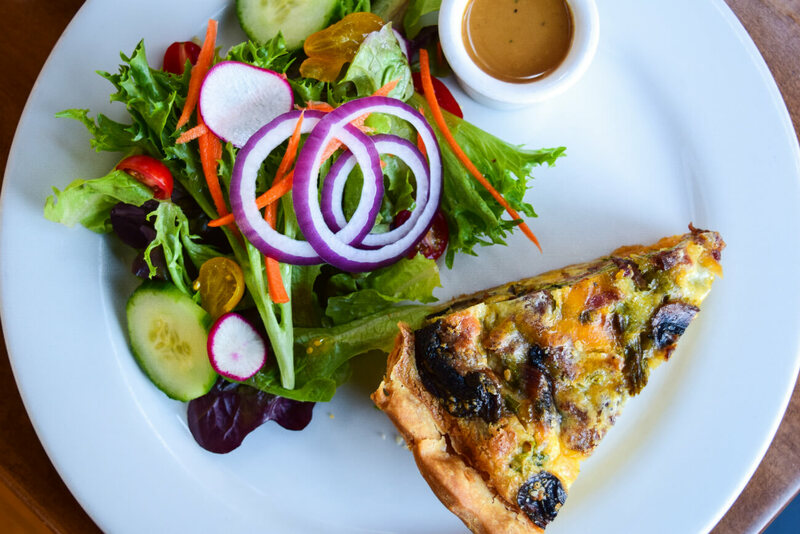 Modeled after a quaint Italian pasticceria, Cristina’s is the place to go for fresh baked artisan breads, flaky European pastries and heartier breakfast fare, like ham and gruyere omelets or fluffy quiches. Originally from Tuscany, owner Cristina Ceccatelli Cook offers a variety of hand-written seasonal specials that you can enjoy in the light-splashed dining room of her small converted house. There’s also a grab-and-go deli counter packed with artisan cheeses, charcuterie, crackers and fresh salads, if you’re planning an afternoon picnic amid the aspens. Power up to wrap up the weekend. Photo Credit: Tara Morgan. If you’re still snacky, stop by Powerhouse Pub in Hailey on your way out of town. 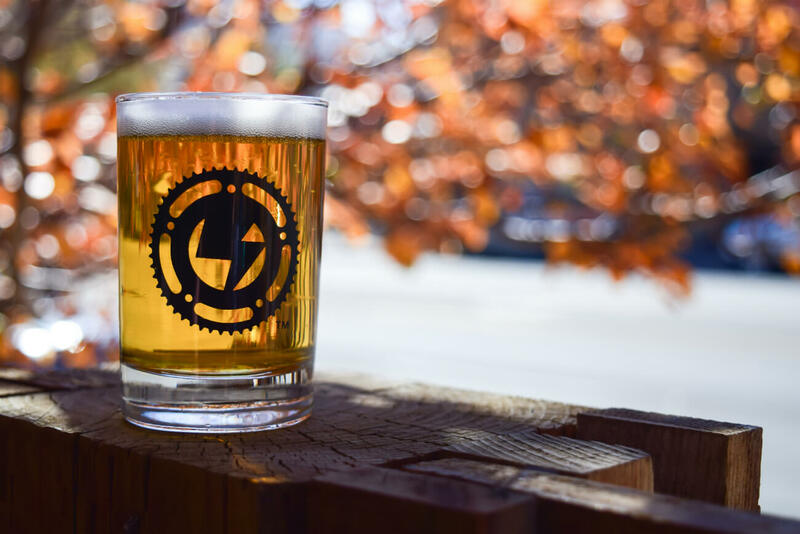 The quirky craft beer bar and bicycle repair shop offers a rotating line-up of microbrews along with lunch options like blackened sushi-grade ahi tacos or a third-pound grass-fed cheeseburger on a challah bun. It’s the perfect pit-stop to fuel up for the journey back home. 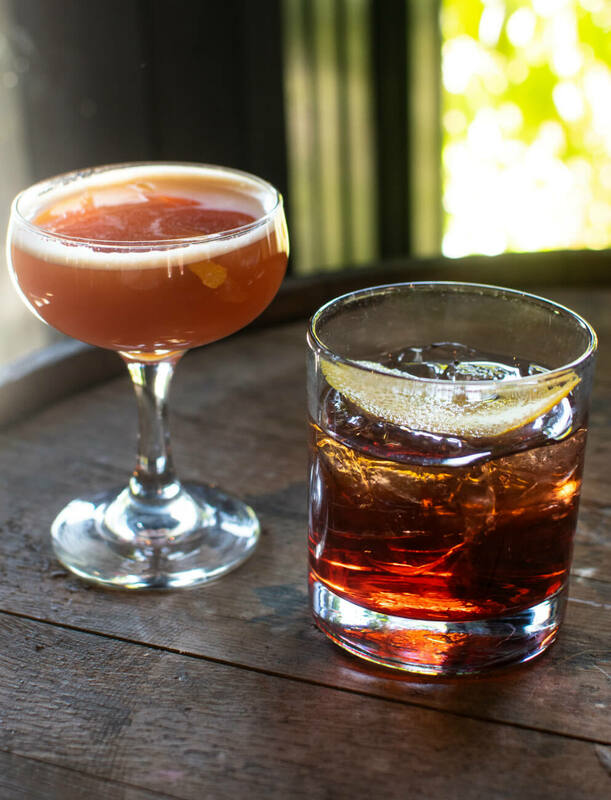 Tara Morgan is a freelance food + booze writer and co-owner of Wild Plum Events. She loves an epic dinner party, good design, bad puns and pretty much every French rosé ever made. Follow her on Instagram at @boisefeed. Feature image credited to Tara Morgan.